The National Hearing Loss Association of America’s main responsibilities include assisting and providing resources for people with hearing loss and their families as well as raising public awareness on the topic. The organization has an extended network of chapters and partners, including Knoxville’s Zoë Nutt. 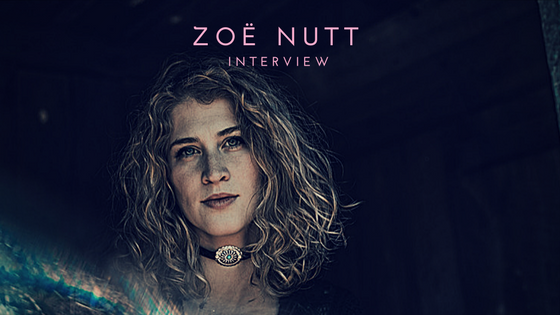 After studying classical voice at Belmont University in Nashville, Nutt quickly found out that classical music was not her world. “I didn’t really find a lot of joy in doing other people’s songs in a language that I couldn’t connect to as well and it was just this perfectionist kind of sport,” she explained. Her songwriting background was nonexistent at this point and her guitar and piano skills were intermediate. However, Belmont’s songwriting major under the Curb College of Entertainment and Music Business was calling her name. She was accepted into the program and during her first semester she faced the most life changing roadblock – Nutt lost all of the hearing in her left ear. Her right ear went first, gradually losing all hearing before she was eight years old. The hearing in her left ear was gone within a day. Although complete hearing loss wasn’t permanent in her left ear, it still came at the most difficult time. Her diagnosis is undetermined, although they are said to be two separate causes. The partnership with HLAA came almost a year after the release of her record, Like You, when she released the music video for the song of the same name. The video was shot in her hometown of Knoxville and offers visual effects that complement the nature behind Nutt's story. “It was [music video director Ben Nelson’s] idea to really emphasize on sound and visuals. You can see the water dropping or a bus driving by. He thought to do those sorts of things to really emphasize all these noises that might not be around all the time,” she said. Nutt knew she wanted to partner with a charity that represented her story and better reach out to the hard of hearing and deaf community through this music video. After sharing the video with HLAA, everyone was on board. “It took a little time, to be honest, because I was very afraid about putting something out and people thinking that I was using it as just a means for PR. It is a great story and worthwhile to tell but I didn’t want it to be told in a way that sounded negative,” she said. Releasing the music video for “Like You” has opened up more doors for her in both the music and hearing loss community. She’s trying new things with a live band and different writing techniques. Through the obstacles she’s overcome and the ability to share her story with others, Nutt knows that she can accomplish anything. And that’s what she’s going to do.